The Goal Post restaurant opens in 1933. 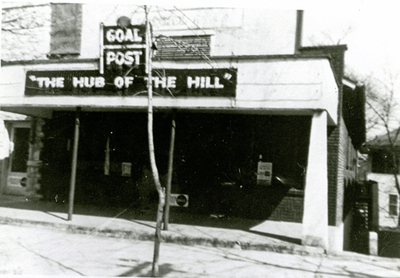 It was subtitled the Hub of the Hill and remained a WKU landmark until it closed in 1979. The Hub Parking Lot is named for it.